200 series Combi-steam oven BS 260/BS 261The BS 260 offers gentle cooking methods such as combination steaming, juice extraction and low-temperature steaming. Pressureless steam generated in five humidity levels can be freely combined with hot air ranging from 86F to 446F (30C to 230C). 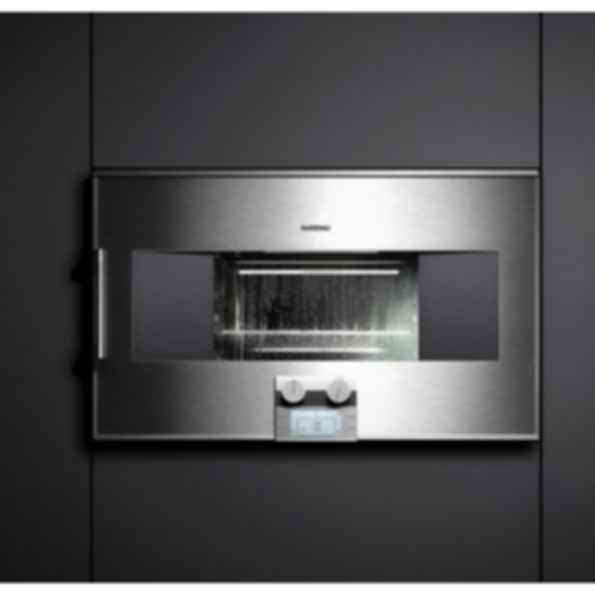 The removable temperature probe switches off the oven automatically when roasts reach the desired temperature. The interior is made of stainless steel, and the 1.3-liter water tank is transparent and removable.